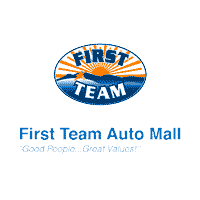 The Parts Department at First Team Auto Mall maintains a comprehensive inventory of high quality genuine OEM parts. Our highly knowledgeable staff is here to answer your parts inquiries. Should we not carry a part for which you’re searching, we can always order it for you and receive it within a timely manner. We also carry an extensive inventory of Subaru accessories, for your vehicle and lifestyle. Visit First Team Subaru’s Parts Department today, open late hours on Monday and Thursday. Or for a special parts request call us or fill out the form below.